If the first couple of months of 2015 are any indication, this year’s quality dance albums are going to make 2014’s seem like a hazy, “lost” weekend. A handful of shorter-form heavyweights and rising stars have already unveiled proper debut albums that meet and even exceed expectations. And with labels such as Rush Hour Recordings and Dark Entries continually unearthing vintage, unreleased material from past greats, dance-music nerds have their listening work cut out for them. Here are five albums that should be at the top of your list so far. 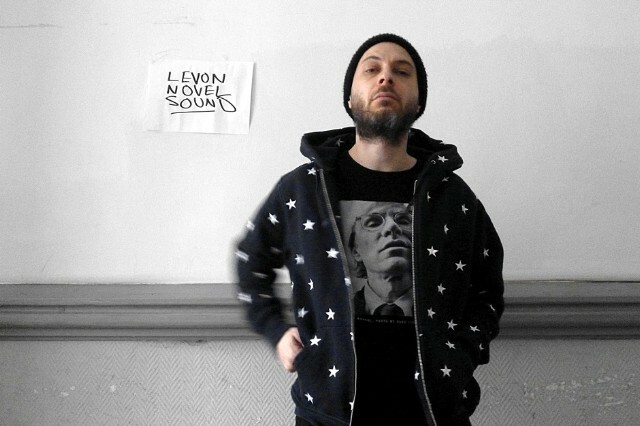 Levon Vincent has achieved near mythical status in dance music’s underground, sending down brilliant dance-floor bombs from on high once or twice per year. He begins 2015 with his largest work to date: a self-titled 4xLP album embracing home listeners within club-friendly structures. His unexpectedly light-touch percussion leaves plenty of room for widescreen melodies to reveal their hypnotic beauty, aided by impeccable sound design. He makes time for a few bangers as well, like the anthemic “Anti-Corporate Music” and “Junkies on Herman Strasse.” But above all, the album feels epic in scope, imbuing the banality of everyday life with stunning tension and emotional weight in a way few producers can hope to touch. DJ Sotofett thrives when synthesizing fragments of house and breakbeat styles into sublime and varied tracks, many recorded with a rotating cast of his peers. The Norwegian producer’s debut double-pack, Drippin’ For a Tripp (Tripp-A-Dubb-Mix), makes the most of this collaborative approach. Whether embedding spaced-out guitar solos into twinkling, tropical house; inventing a futuristic reggaeton varietal sung by Côte d’Ivoirian vocalist Maimouna Haugen; renovating his Wania unclassic “Pulehouse” with Versatile’s Gilb’R; or simply jamming out a gorgeous deep house track with Phillip Lauer, each cut affirms the depth and singularity of Sotofett’s vision. An excellent jumping-on point for new followers of this gifted producer. There’s a restless quality to Anthony Naples’ releases that stands out — the courage to go the opposite direction of the lightly distorted and heavily party-starting house tracks that are his home base. He follows this impulse throughout on his debut album, Body Pill, flitting between dazed and reflective downtempo tracks like “Changes” and “Pale,” biting hip-hop influenced beats on “Abrazo” and “Used to Be,” and even dreamy house variations that build up from abstraction (“Refugio”) and unwind into beatless synth explorations (“Miles”). Shorter track lengths and thoughtful sequencing help Body Pill come off not as a series of sketches, but rather a tasting menu of Naples’ musical talents that’s satisfying even after multiple spins. In keeping with much of Vril’s output thus far, Portal is a heads-down techno affair that makes very few compromises for the album format. It arrives less than a year after Torus, his debut LP, and already presents a more focused viewpoint. Each numerically titled track seems to tunnel through different layers of earth, their whirring textures and unfailing, mechanical percussion patterns creating unique striations on the surfaces in their paths. While many contemporary techno producers are content to bang away for brutality’s sake, Vril packs alluring grit and an array of impressive drum patterns into Portal that leave listeners with a lasting impression rather than just a dull, throbbing headache. Until recently, only a dedicated group of Chicago house collectors were cognizant of Vincent Floyd’s magnificent deep-house sound due to his short and hard-to-find discography. Lovingly excavated by Rush Hour Recordings, Moonlight Fantasy provides a fuller picture of his talents across ten previously unreleased tracks. Floyd excels when pairing silky synths with plump bass lines, allowing tracks to be mellow and dance-floor-ready. Fans of Mr. Fingers, Virgo Four, and Dream 2 Science will go ga-ga for introspective workouts like “Lunar Moods” or the romantic vibes of “Dawn Notes.” Although not every track reaches those heights, much of the album is just as relevant today as when it was written 20 years ago.